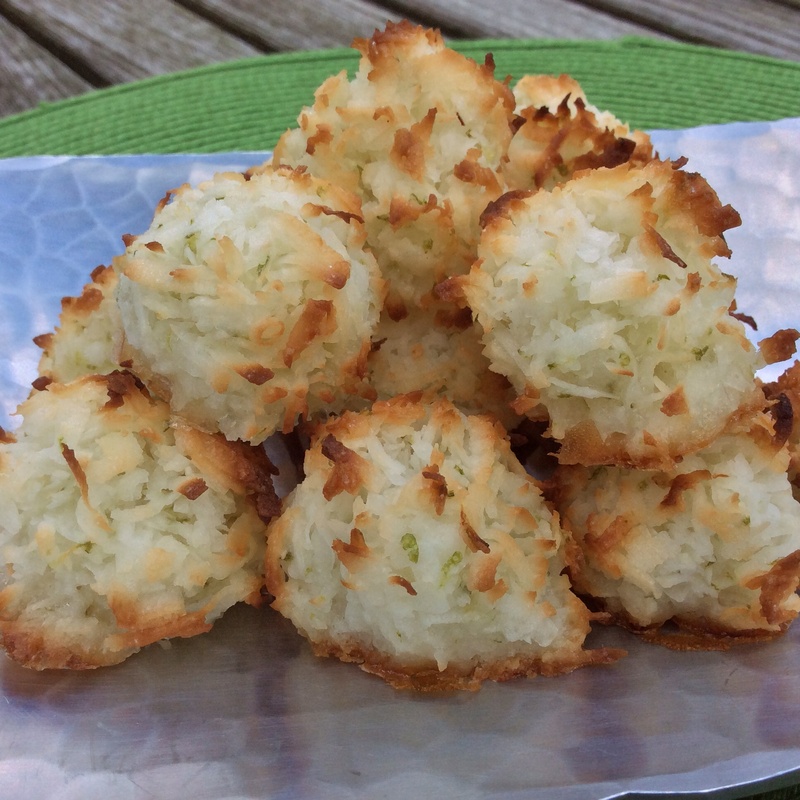 Macaroons are a cinch to make. 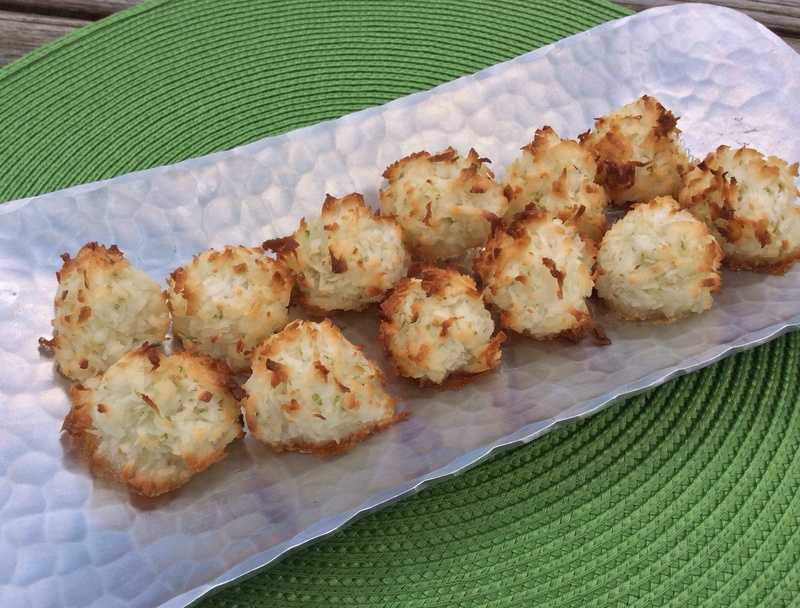 By macaroon I mean the American macaroon, which is typically a mixture of egg whites and shredded coconut shaped into balls and baked. The French version, though delicious, is a little more complicated with meringue and piping and cream fillings involved. 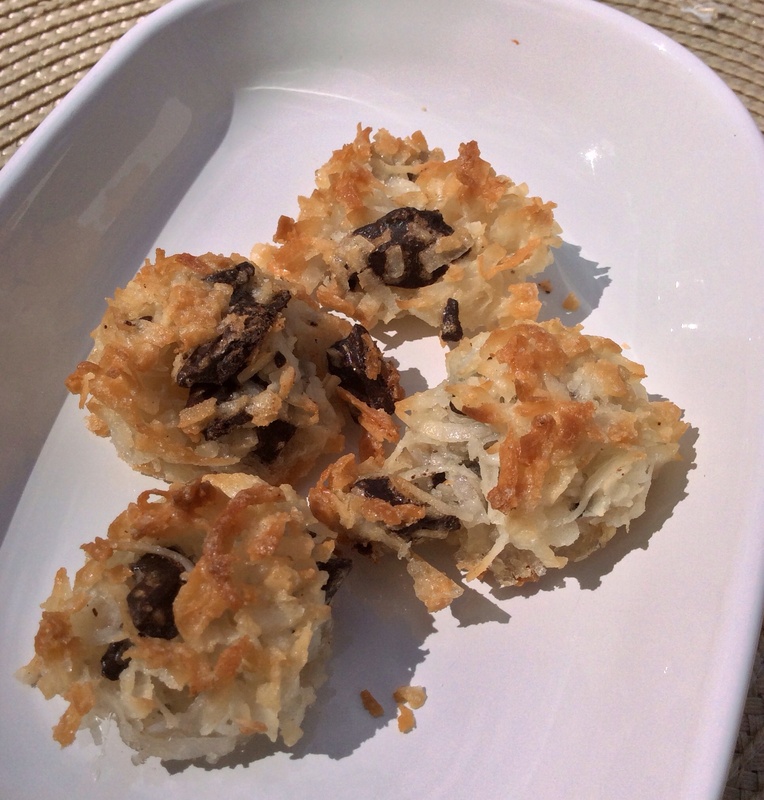 When I wanted a simple cookie recipe to make at school this past week, my Chocolate Chip Macaroon immediately came to mind. I usually make them during the holidays. I am not sure why I don’t make them the rest of the year considering how quick and easy they are to make. But now that I have the recipe out, I don’t plan to file it away again. 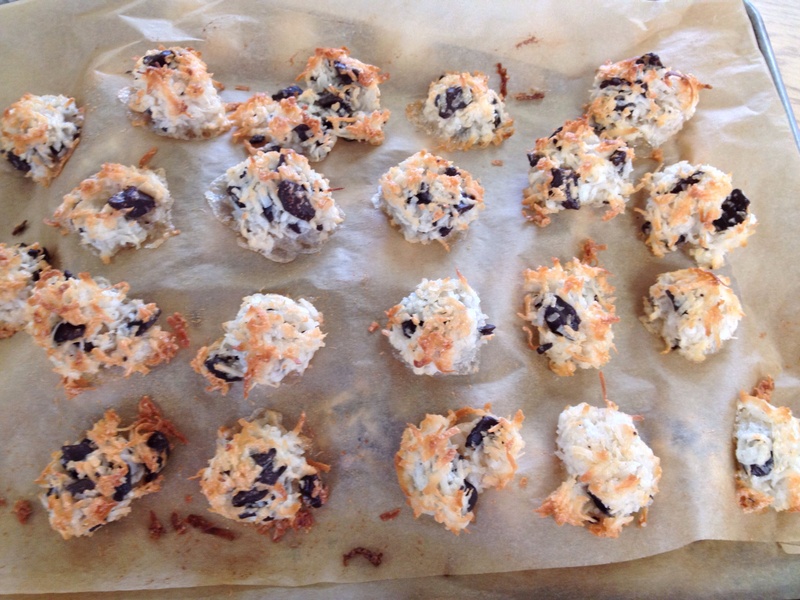 The macaroon was a great cookie to make with kids because it is essentially a 4 step process: measure, mix, form balls, and bake. 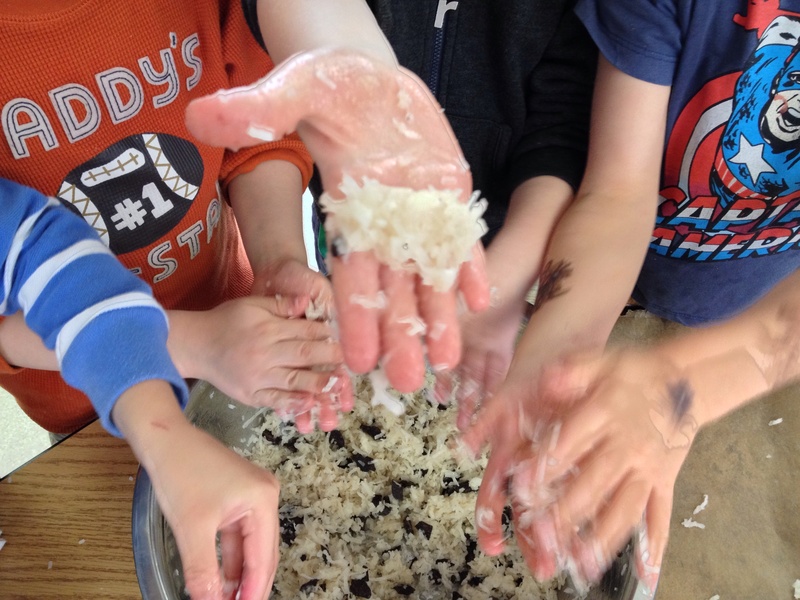 The children can do almost all of the work with just a little guidance. 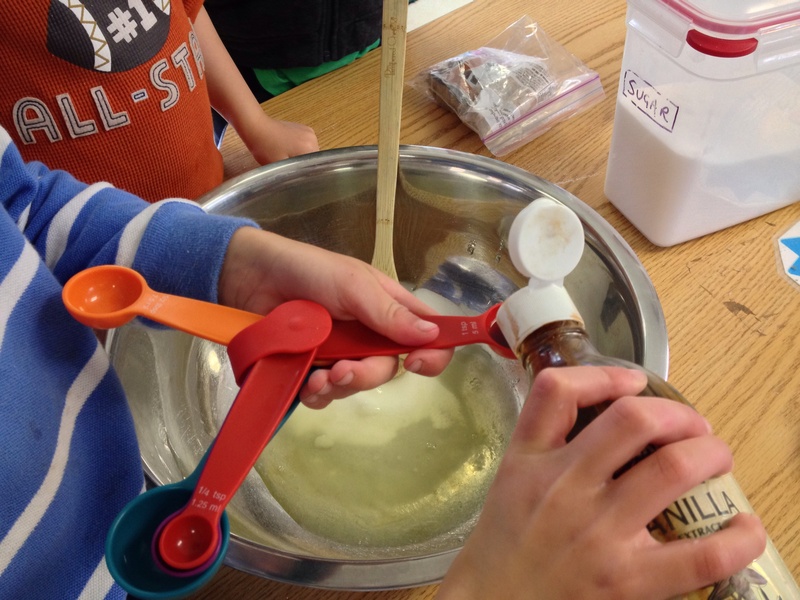 The hardest part for the children was separating the eggs. 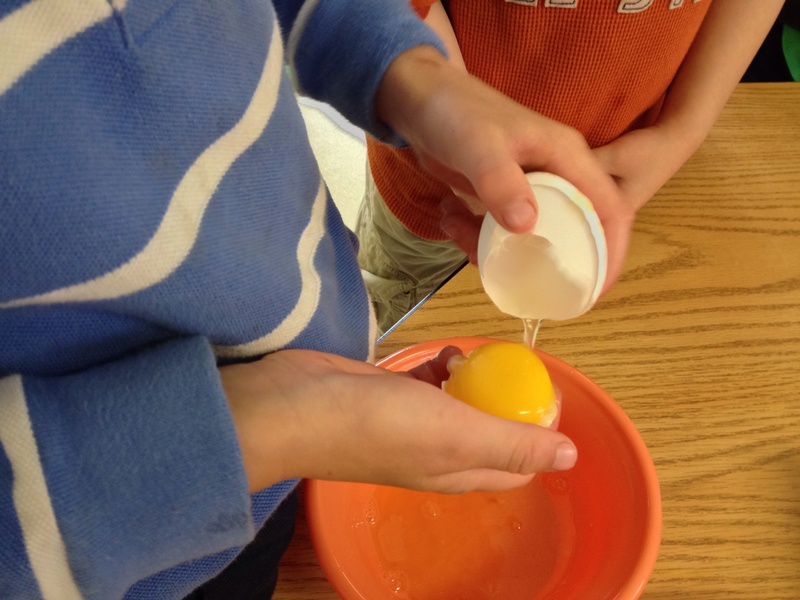 One boy was able to open the egg shell and catch the yolk in the half shell. I taught the other children to carefully break the egg into a small bowl and very gently lift the yolk out. 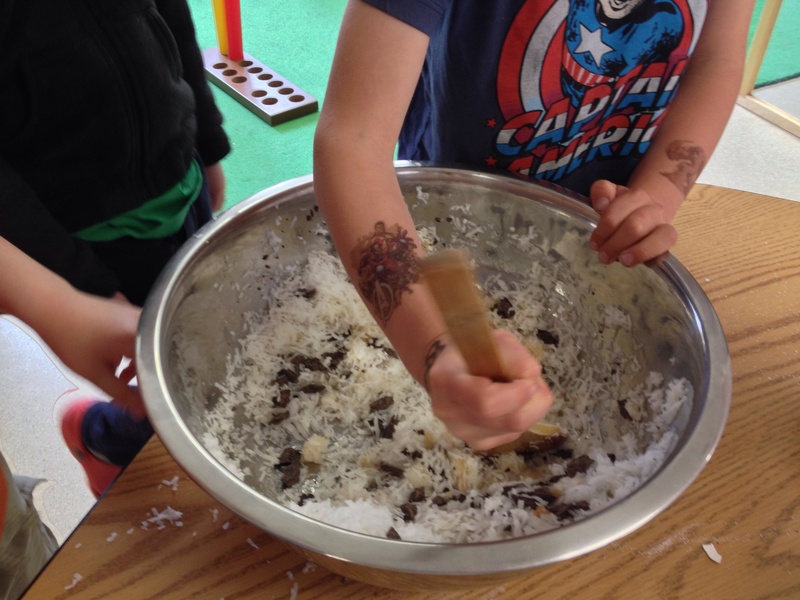 The children loved squishing together the coconut balls. Then we baked the cookies until lightly browned. Crunchy on the outside and chewy on the inside. Yum! 1. Preheat oven to 350°F. In large bowl, mix together all ingredients with a fork. 2. 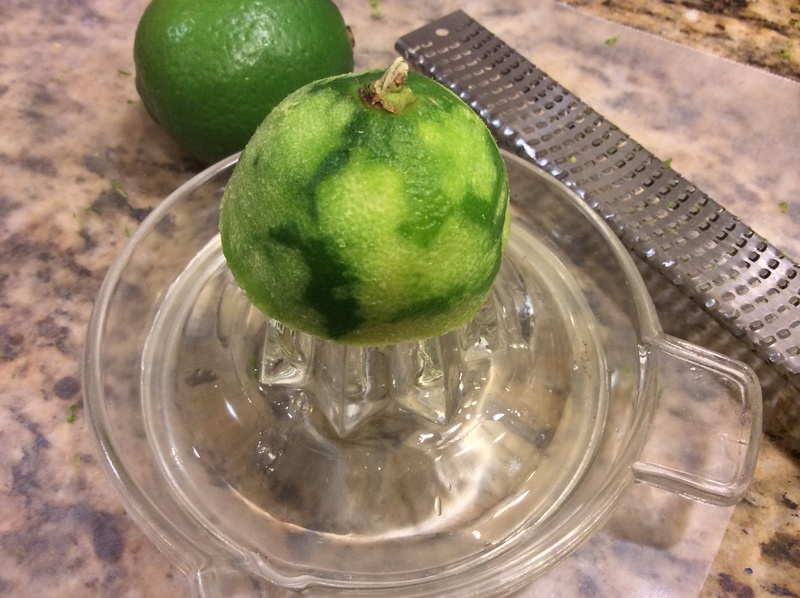 With hands, shape bite-size balls of coconut mixture, about 1-inch round. Place on a baking sheet lined with parchment paper. 3. Bake until golden brown, about 15-20 minutes. Transfer to a cooling rack. Will keep in an airtight container for several days. I tasted both versions and they were absolutely delicious!! 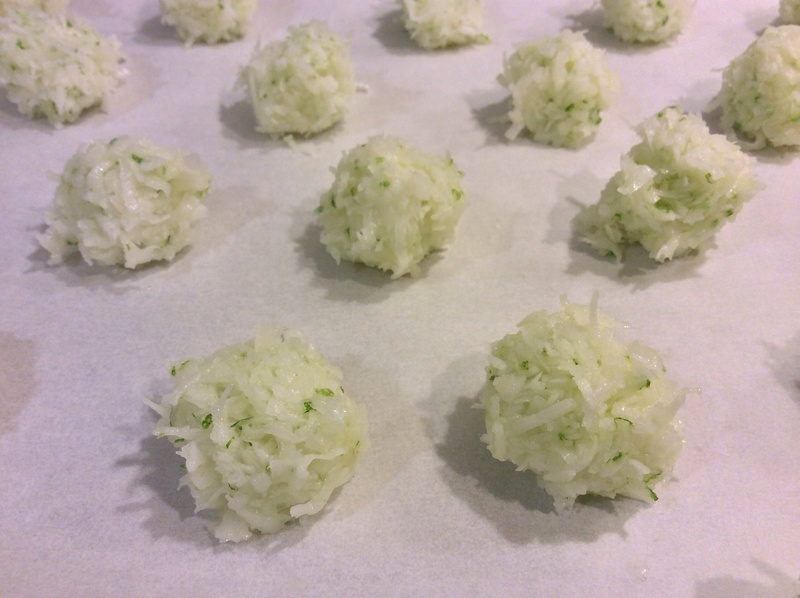 I want to try it with adding mint, to make little mojito macaroons. Sounds good. Let me know how that works out. silly questions – how is sweetened coconut sold – can or bag? No question is silly! In a bag. I usually find it in the baking aisle at my grocery store. Yum! Just in time for Cinco De Mayo!